Qualification for Euro 2020 starts this week. Wales international has hit six goals since summer move from Sheffield United. The key attacking duo have yet to resume full training after injury. Tottenham Hotspur reportedly identify five midfielders whom they may look to sign during the summer transfer window. The Cherries have never won at Anfield. Sports Mole previews Saturday's Premier League clash between faltering title hopefuls Liverpool and mid-table Bournemouth, including predictions and teams news. Could Aaron Lennon return to his hometown club? Tottenham Hotspur prepare a £50m bid for Bournemouth attacker David Brooks, according to a report. Manchester United consider a summer move for Bournemouth attacker David Brooks, according to a report. Bookmakers slash the odds on Maurizio Sarri to be sacked by Chelsea in the wake of his side's 4-0 defeat to Bournemouth. Sports Mole picks its Premier League team of the week for gameweek 24, including four players apiece from Wolverhampton Wanderers and Bournemouth. Relive Sports Mole's live coverage as Bournemouth thrash Chelsea by a 4-0 scoreline in Wednesday's Premier League clash on the South coast. 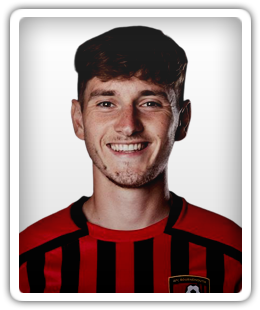 A report claims that Bournemouth will offer David Brooks a big pay rise to kill off rumours that the midfielder could be on his way to a Premier League rival. The centre-back will be suspended against Arsenal on Boxing Day. Wales international Brooks has hit five Premier League goals this season. The Wales international has scored five Premier League goals this season. Relive Sports Mole's live coverage as Chelsea register a 1-0 win over Bournemouth on Wednesday evening to reach the EFL Cup semi-finals. Spain maintain their 100% start to life under manager Luis Enrique with a convincing 4-1 victory over Wales at the Principality Stadium in Cardiff. Many Premier League clubs have taken a risk in the transfer window this summer, but which new signings could pay off in the long term?